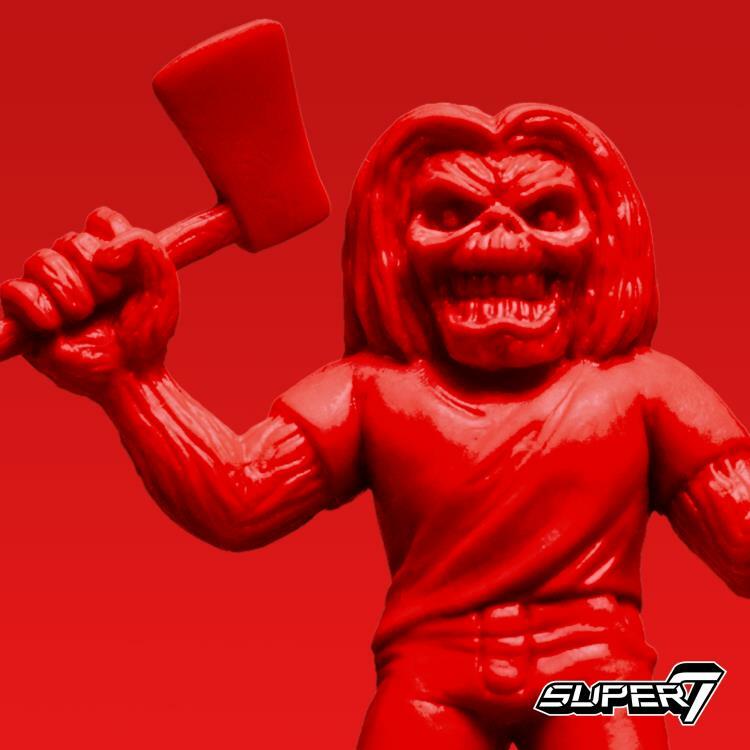 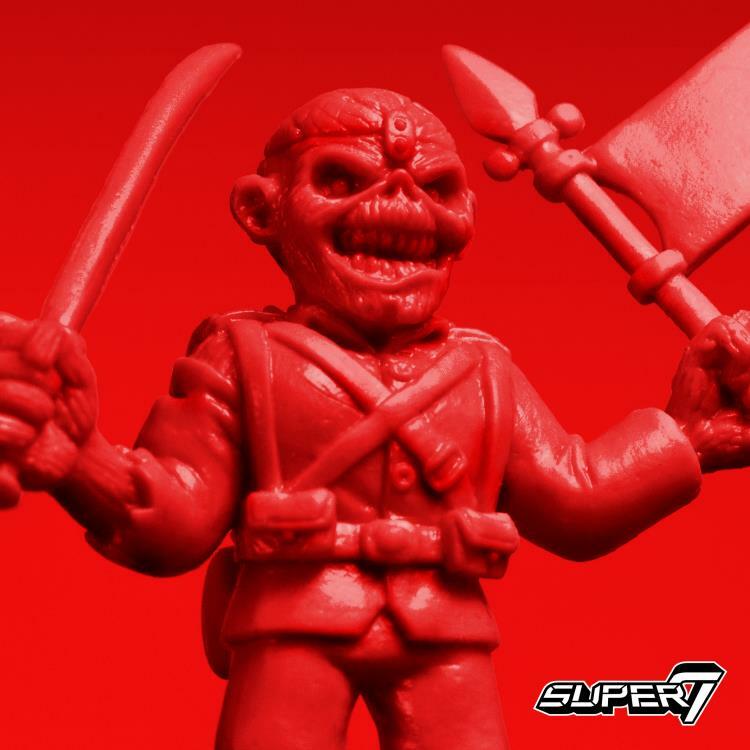 The classic rubber figures from the 1980’s return with an Iron Maiden M.U.S.C.L.E. 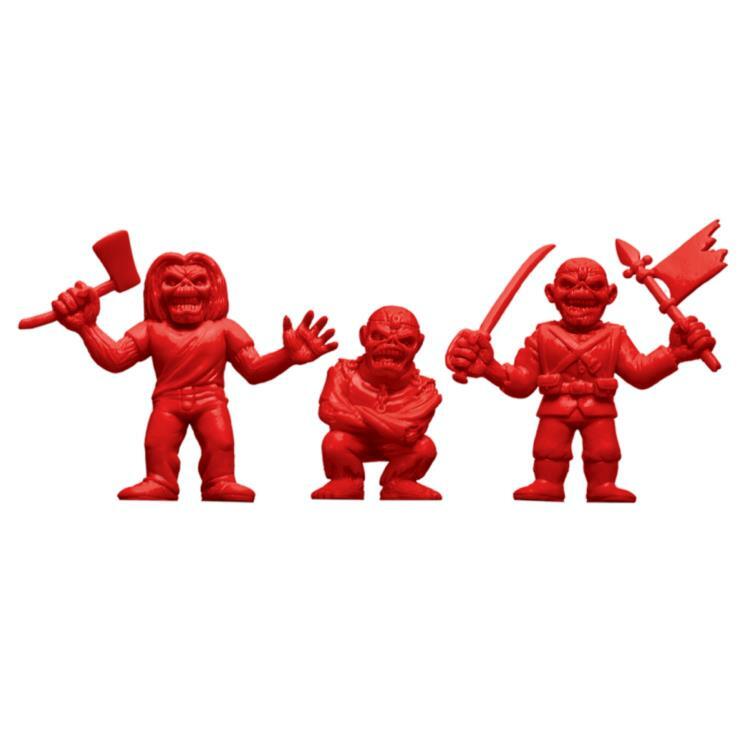 1.75-inch figure three pack. 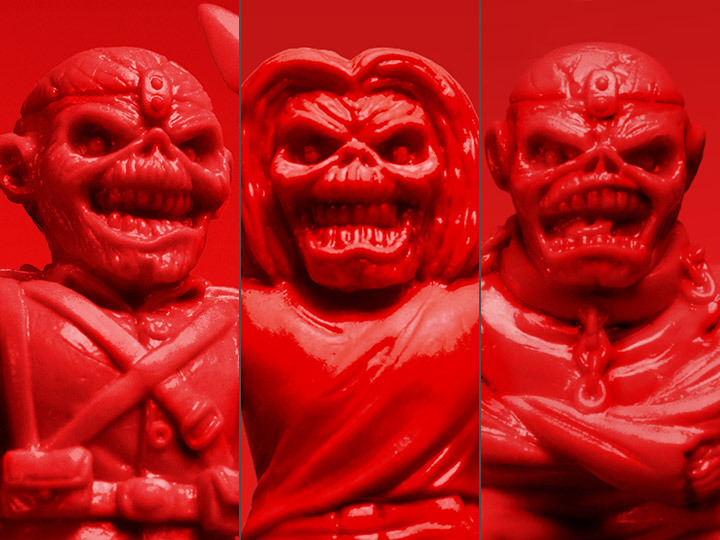 This box contains The Trooper Eddie, Piece of Mind Eddie, and Killers Eddie. 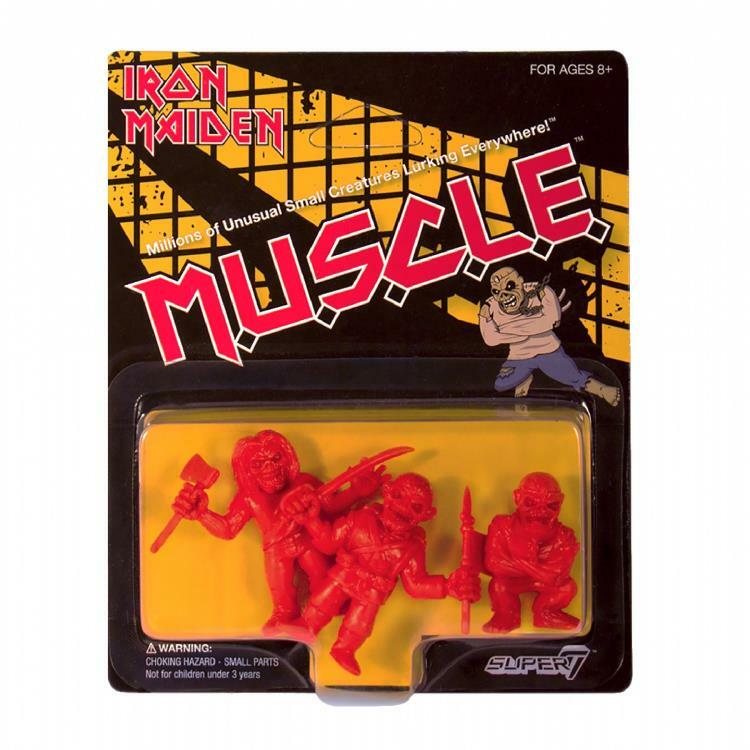 The blister card packaging features the artwork from Piece of Mind.